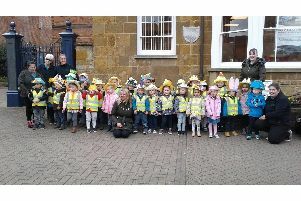 Utility Bidder, based at Compass Point in Market Harborough, has announced a new partnership with the NSPCC. The company is planning to raise a total of £12,000 in 12 months to support the charity’s National Schools Service scheme. Specialising in commercial gas and electricity supplies, Utility Bidder offers a unique reverse auction for large suppliers to bid for business utilities. Director James Longley said: “We are extremely pleased about our recent partnership with the NSPCC and proud to be the first broker to set up a partnership of this size with a charity. For more details about the firm’s events and fundraisers see the website www.utilitybidder.co.uk.